(1916-1993) Born in New Jersey to a long line of artists, du Bois was accordingly packed off to art school when many other young men his age were joining the Army or Navy, and published his first book at the age of 17. During World War II, he served as a correspondent for Yank. 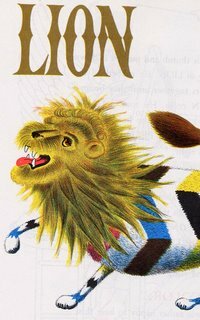 The rest of his life was spent writing and illustrating his own books, as well as illustrating for many other authors. He won the Newberry Medal in 1948 for The Twenty-One Balloons. 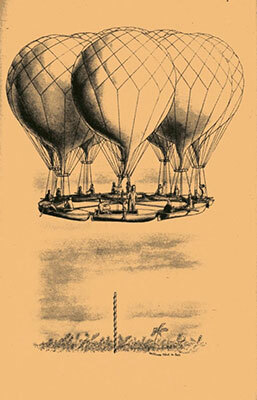 The book's main character, William Sherman, who set out around the globe with a hot air balloon but was interrupted by a utopia of restaurateurs and the explosion of Krakatoa, is exemplary of du Bois’ characters, who inhabit plot worlds only slightly less zany, peculiar, and hilarious than themselves. We currently have a great collection of William Pene du Bois in stock. The Otto books, about a rather large dog, are a staff favorite.